If you have missed the first session, it’s Ok. 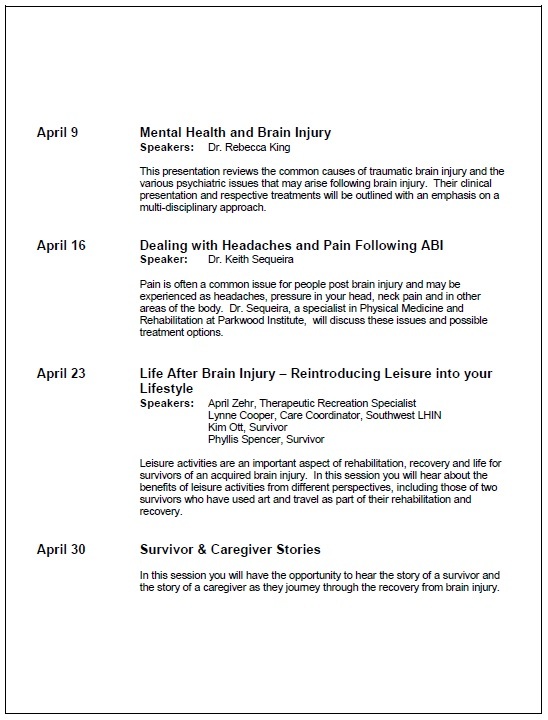 Survivors of acquired brain injury (ABI) and their family caregivers are invited to this free seven week series on topics related to treatment and recovery from ABI. 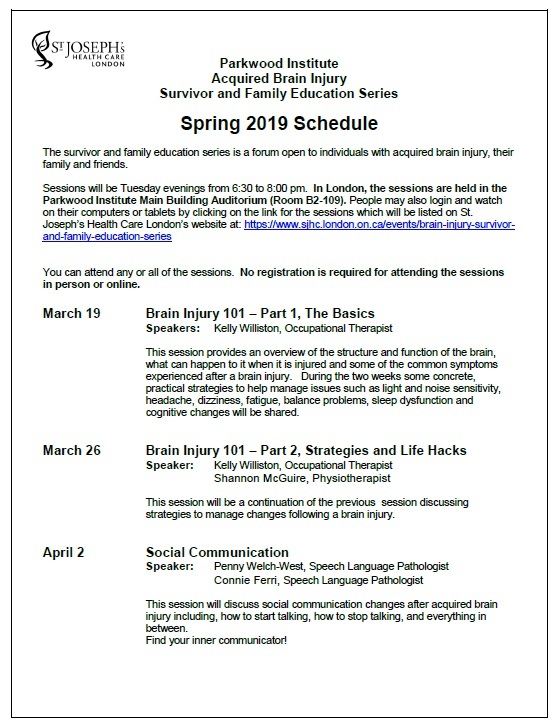 ABI treatment professionals and survivors will present live at Parkwood Institute Main Building in London Ontario and via live webinar. Access through the webinars directly: https://www.sjhc.london.on.ca/abi. Sessions will be available to be viewed after all the live presentations have aired. However, only the audio for the session and the corresponding slides be recorded. After all the session have aired, the recorded sessions will be available on St Joseph’s internet site where the information and current links to the live presentations are found. The series runs Tuesday evenings from 6:30 – 8 pm, March 19 – April 30, 2019.